Katana: a curved single edged sword, traditionally used by Japanese Samurai. The Katana facilitates speed by being worn with the blade facing up allowing the Samurai to draw and cut their enemy in a single motion. While the La Sportiva Katana may not be a sword in the traditional sense, it’s surely as precise as its Japanese counterpart. 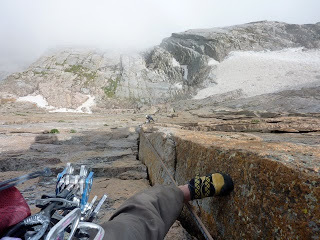 I have had 4 pairs (with resoles) of this shoe and can certainly say, the Katana is one of the finest rock climbing shoes I have worn. CMS Guide, Eric Whewell, with comfortable feet high on The Diamond, Rocky Mountain National Park. The shoe features a quick on and off with its Velcro closure and dual pull on loops. This allows me to easily slip the shoe off and on at belay stances on the Diamond and quickly change in and out while projecting at Rifle. 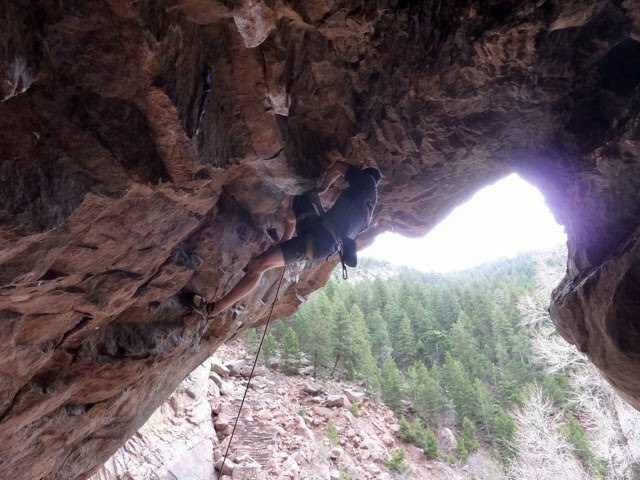 It’s stiff enough for me to climb all day in and sensitive enough for delicate edging testpieces in Eldorado Canyon. Eric Whewell utilizing La Sportiva Katanas for ultra-technical footwork on The Monument (12d, Eldo). The Katana is a high performance shoe that excels at technical edging and precision. Like the Japanese Katana, it exemplifies not only sleekness and agility but speed as well. One of the best shoes in the La Sportiva lineup, the Katana will not disappoint.